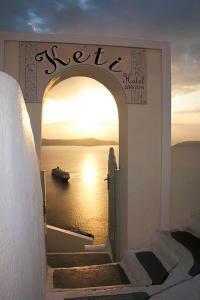 The Keti Hotel enjoys stunning views of the Aegean Sea and the caldera. 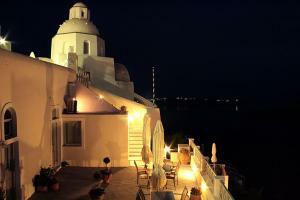 It has traditional Cycladic architecture and offers accommodation with air conditioning and free Wi-Fi. 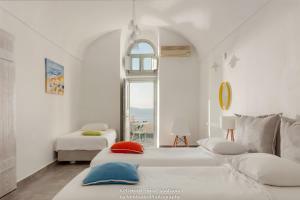 This air-conditioned room has a small fridge and views of the Aegean Sea and the caldera. It also has a hairdryer, free toiletries, satellite TV and free Wi-Fi. This air-conditioned room has a small fridge and views of the Aegean Sea and the caldera. It also has satellite TV, free Wi-Fi and a private bathroom with a spa bath. This air-conditioned room has a balcony and views of the Aegean Sea and the caldera. It also has satellite TV, free Wi-Fi, a mini-fridge and a hairdryer. 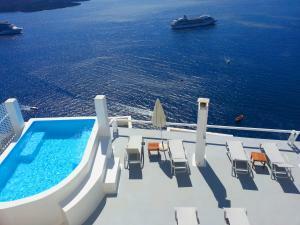 This suite offers air conditioning, a private balcony and views of the Aegean Sea and the caldera. It also has satellite TV, free Wi-Fi, a mini fridge and a bathroom with a spa bath. This air-conditioned suite has a large private balcony with an outdoor hot tub and direct views of the Aegean Sea, the sunset and the volcano. 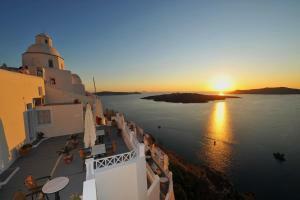 next articleWhat are the best hotels on the island of Santorini in terms of quality and price?